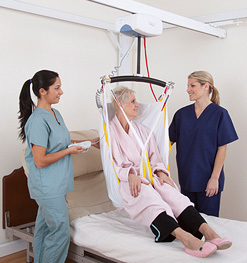 An overhead lift is a critical tool for safely moving people who are unable to stand. 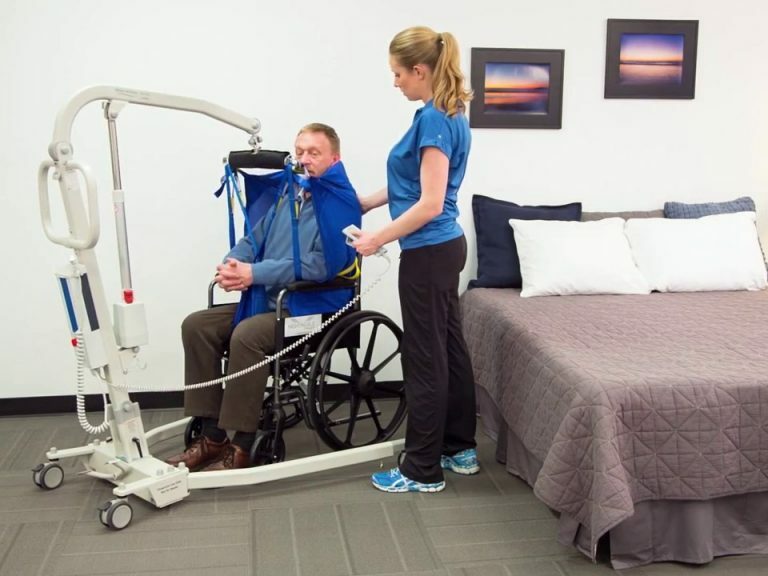 Designed for personal or institutional use, an overhead lift is the most reliable way of preventing falls and injury, not only for the person who is disabled but for the helper as well. Often used in the bedroom and bathroom, our overhead lifts can be mounted on ceiling tracks or rolled on the floor. There are three lift models for different situations. For moving from one place to another, helping out or temporary use, the floor lift is a good solution. 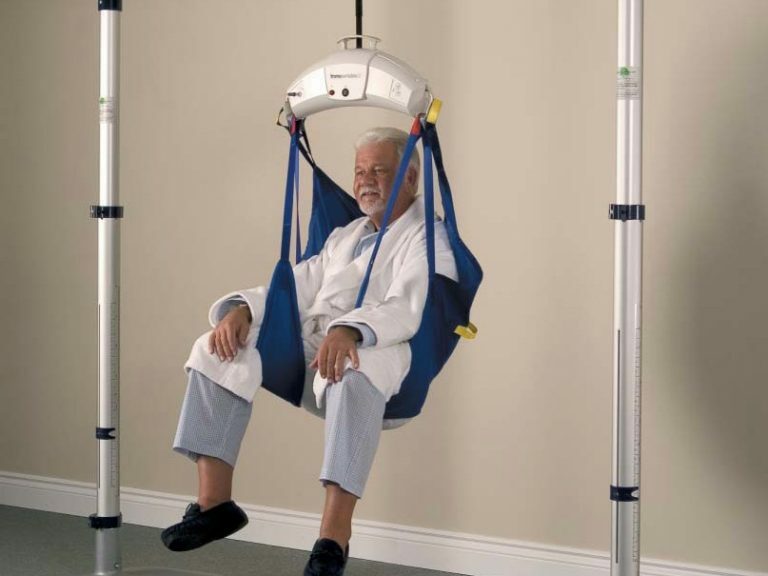 For regular use in one area of the house or care centre, a lift attached to a ceiling track is best. Lastly, we offer portable lifts that can be moved from one track to another for use in various locations in the same building. “Unhookable” model for use on ceiling tracks or with a portable lifting system. Fixed model on ceiling track. Model on wheels that can be rolled on the floor.